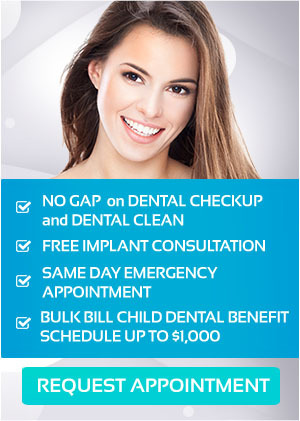 Looking for the Best Dentist in Mernda? Dental health is often a major factor in your overall health. If you have poor dental health, even if you don’t currently have other harmful conditions, you likely will. This is why it is critical that you visit a dentist regularly. If you’re not currently making dental visits, it might be that you are too busy to make the time, new to your area, perhaps a bit anxious about visiting a dentist, or without a dentist entirely. But if anxiety, a busy life, or lack of a dentist is keeping you from dental treatment, you should rethink your approach. A good dentist is a necessity. And you need one with the professional skills and personality to make your visits pleasant. What are the practice hours — is the dentist available when you’re available? What are the fees for typical treatments (e.g., x-rays or cleaning)? Does the practice accept your dental plan or offer a payment plan? Is payment requested at each visit or will the dentist file a claim with your insurance company and bill you for the balance? Is clear information about fees provided before treatment is scheduled? If you call the practice with a dental issue, can you speak to the dentist? Are there established times for calls to and from the dentist? Are telephone calls returned the same day? How does the dentist treat patients who have emergencies during office hours, after office hours, or even when the dentist is away? Are patients notified when it’s time for a checkup? Some practices will make a reminder call or send a text the day before a scheduled appointment. This kind of courtesy is not only helpful, but is a sign of a good attitude. Ask people you know and trust for recommendations. This is a great first step. Ask your family, friends, pharmacist, even your doctor, for their advice. If you are moving, ask your current dentist for a recommendation in your new area. Look at online review sites like Google or Yelp. These can be a great place to read about other patients’ experiences and get valuable information. Read more than one review and look for specific details. Google can also be useful in determining if the location of a dentist is convenient. Check out their website and blog. If you’ve found a dentist you think you like, you can learn more about them on their website. Check patient reviews, photos of the office, or videos explaining procedures. If they have a blog, read a few posts to make sure they seem to know what they are talking about. Visit. If a dentist is not happy to let you visit, you probably don’t want to choose them. A visit gives you a chance to meet with the dental team and learn more about how they work. Check out the reception area, restrooms, and ask to see the dental surgery. Look for cleanliness and professionalism. Care about Convenience. Check that the location is convenient for you. A dentist you can’t reach is a useless one. If you have a busy life, ask if they have early, lunchtime, or late appointments. Inquire about their dental emergency procedures and parking availability. Treatments. Do they offer the treatments you need? Check to be sure that they are able to provide the care you require. For instance, if you have a young child, you should choose a dentist with experience in infant dentistry. Get the Best Treatment in the Mernda Area from United Smiles! United Smiles is a busy, modern and patient oriented practice. Our modern facilities enable us to offer the most thorough and up to date dentistry available. We are conveniently located in the heart of Mernda Village, serving patients from all Melbourne areas. Our office has ample parking at the rear of the building. Wheelchair access is also available at the front of the building. Our technology is cutting edge, our premises are clean and up to date, and our staff are courteous, professional, and helpful. We look forward to seeing you soon! To find out more, visit our special offers page!